Can you believe that Easter is so close? I’m not ready for our summer to end, I am not ready for the end of our first term at school, and I am certainly not ready to think about Easter! Well, except for the hot cross buns, I’ve been thinking about those, and consuming them, since January! But if I must contemplate the coming of Easter, then the least I can do is make some Easter play dough mats! My play dough mat co-collaborator (aka Noah, my youngest child) was at school when I designed this new set of play dough mats, so he got a great surprise when he got home and found them all set up on the table waiting for him. Do you have an Easter hat parade where you live? 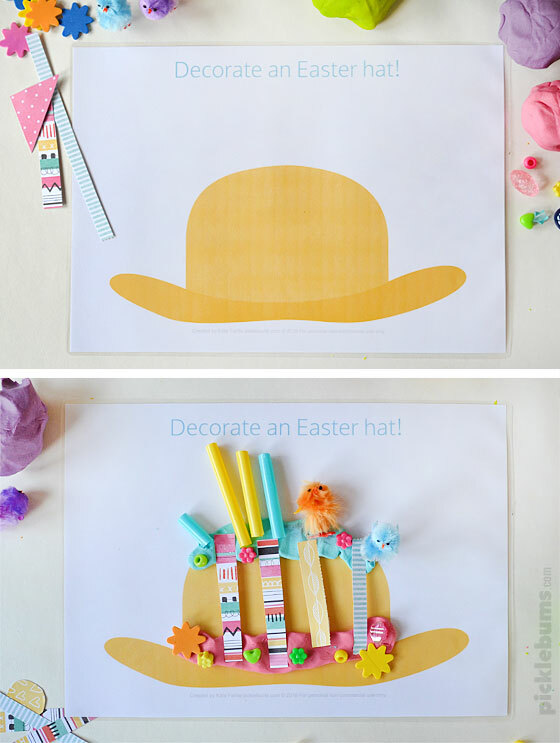 Our school does one every year for the juniors and it’s lots of fun, so the first play dough mat in this series is an Easter hat to decorate. 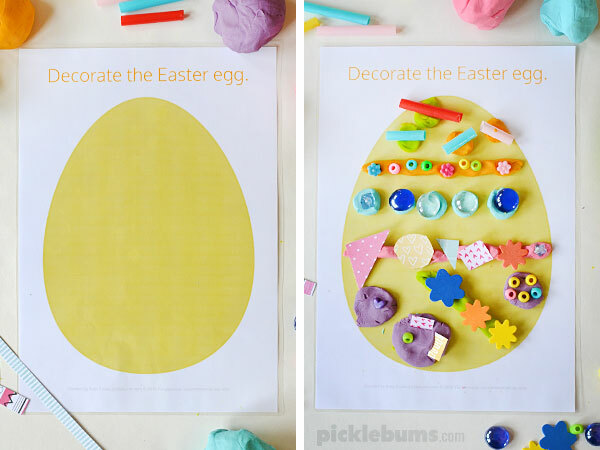 You can download the ‘Decorate an Easter hat’ play dough mat here. 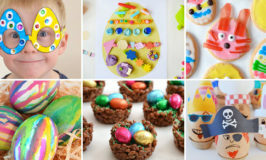 Of course it’s not Easter without eggs, and it’s lots of fun to decorate your own Easter eggs, even play dough ones! 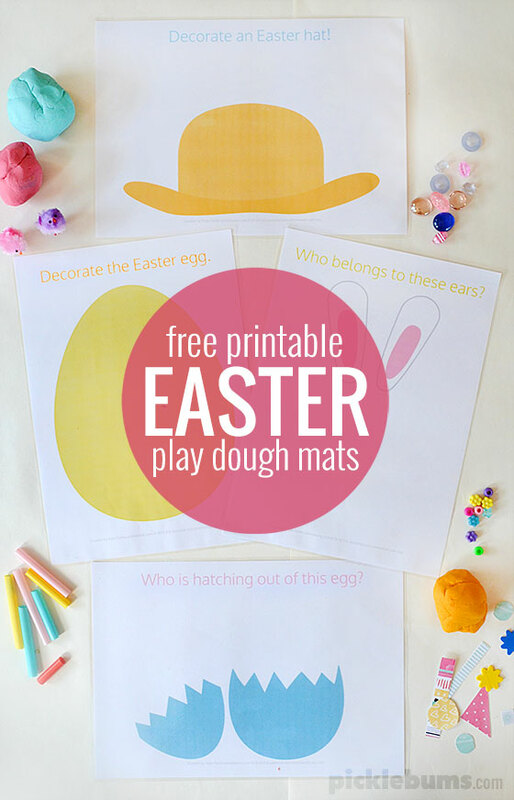 You can download the ‘Decorate the Easter egg’ play dough mat here. Does the Easter bunny visit your house? What does he look like? Does he have long ears like these? 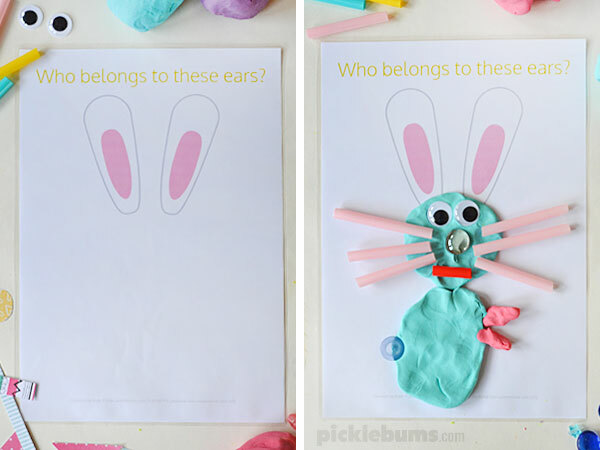 You can download the ‘Who belongs to these ears?’ play dough mat here. Easter doesn’t happen during spring time for us in Australia, so perhaps it won’t be a chick that is hatching out of this egg? 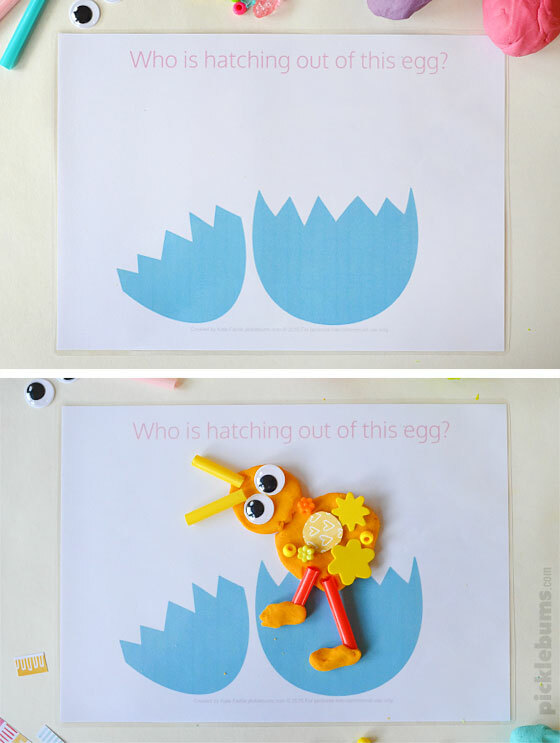 You can download the ‘Who is hatching out of this egg?’ play dough mat here. 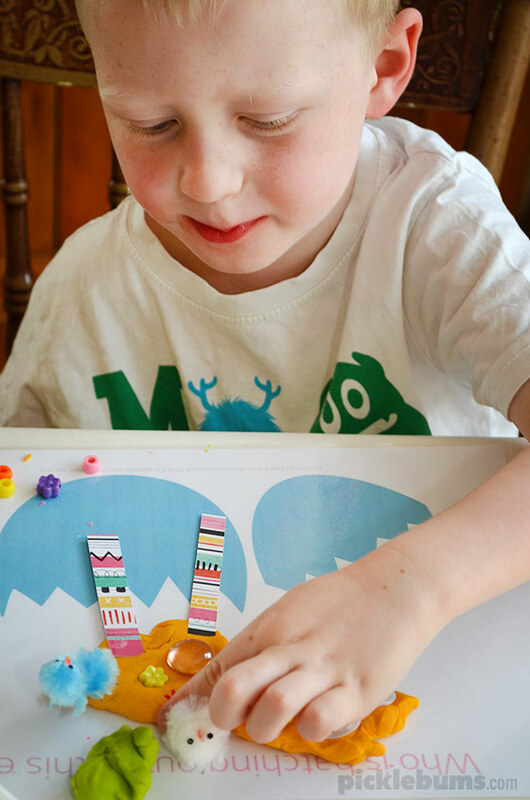 It was so nice to spend some time creating with Noah and playing play dough. Of course my big kids are ‘too old’ for play dough, but they’ll have a bit of a play,anyway! 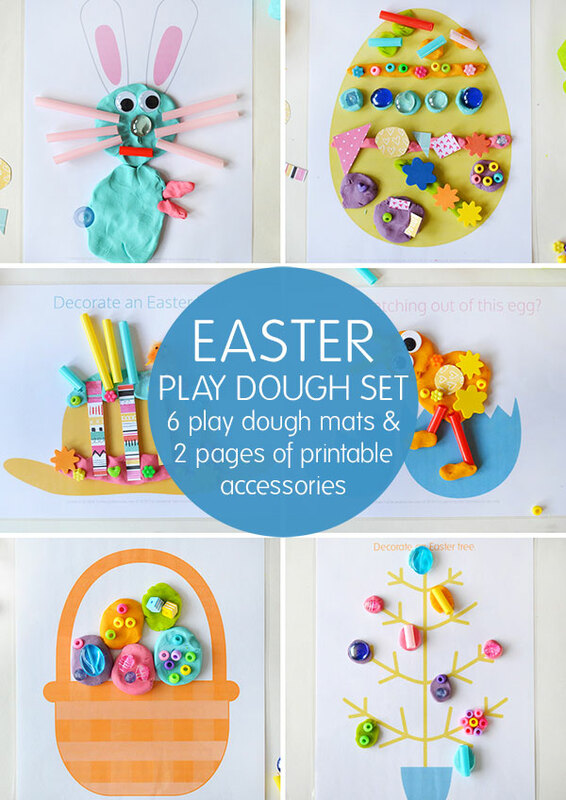 If you want even more fun Easter play dough goodies, check out my Easter Play Dough Set! 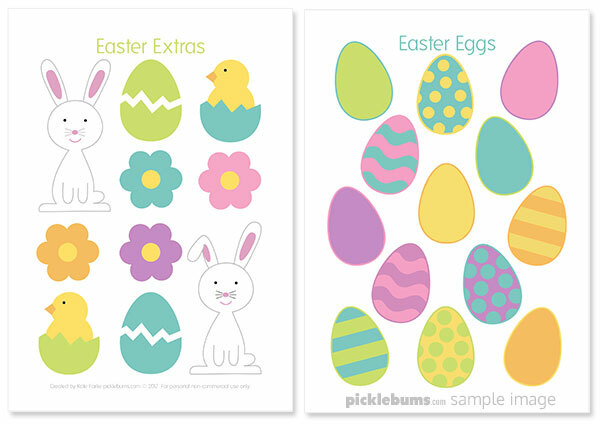 There are two brand new play dough mats and 2 pages of brand new Easter themed printable accessories. The Easter play dough set is in our shop and on sale for $3.00 until April 1st! These look amazing – I don’t know why I have never thought of using play dough in this way – thank you! 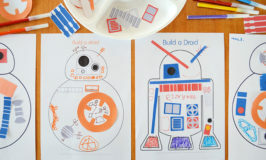 These printable are looking great fro my kids. They will love to decorate the same.